True to its mission of leading the veterinary profession and public in understanding heartworm disease, the American Heartworm Society aims to further scientific progress in the study of heartworm disease, while informing its membership of new developments. The Society currently invests hundreds of thousands of dollars a year in heartworm research, both directly and through grants to the Morris Animal Foundation. Every three years, the American Heartworm Symposium draws researchers and veterinarians from all over the world to present, hear and discuss the latest scientific information on heartworm disease. These presentations are also published in a peer-reviewed proceedings, and the information is shared with the wider veterinary community through the communications efforts of the Society. One of the most valuable services provided by the American Heartworm Society is the Current Guidelines for Canine and Feline Prevention, Diagnosis and Treatment of Heartworm Disease. These guidelines, which are periodically updated as new information becomes available, can be downloaded at no charge. 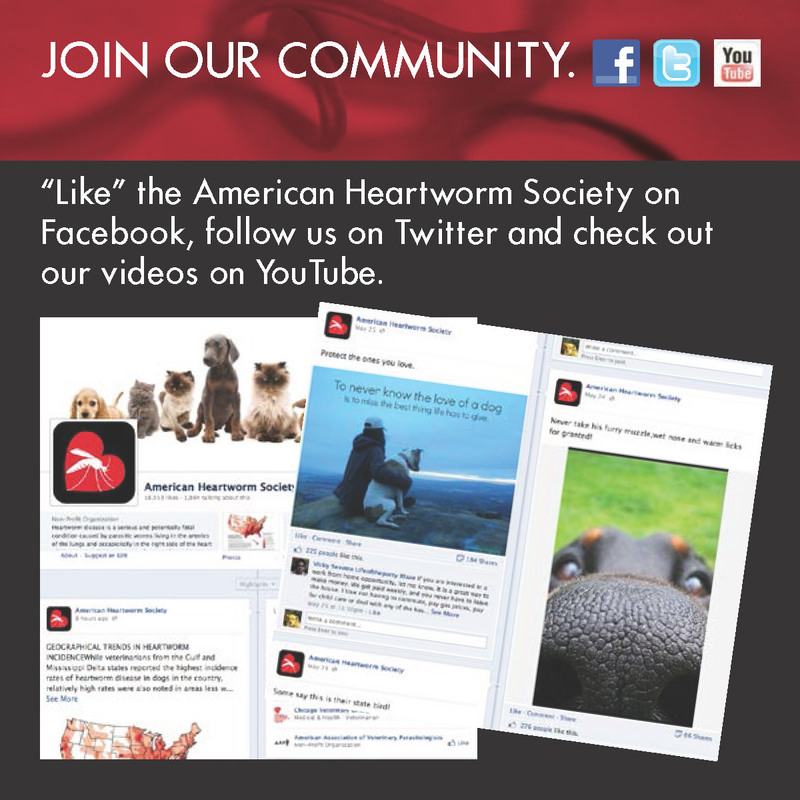 The American Heartworm Society also provides a number of additional educational resources and services, including symposia, publications, client education materials and heartworm outreach to veterinarians and the public. The ultimate goal: to promote effective procedures for the diagnosis, treatment and prevention of heartworm disease. To lead the veterinary profession and the public in the understanding of heartworm disease.